The European Central Bank (ECB) is expected to announce an unprecedented bond-buying programme on Thursday (22 January), in a bid to breathe life into the eurozone economy and to prevent deflation. 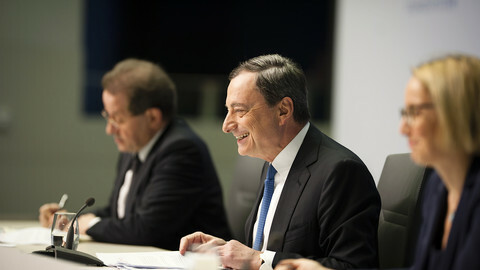 Reports on Wednesday suggested that its 25-member governing council, led by Mario Draghi, will consider a proposal by its executive board to begin asset purchases worth €50 billion per month, running from March until the end of 2016 - double the amount previously forecast by analysts. 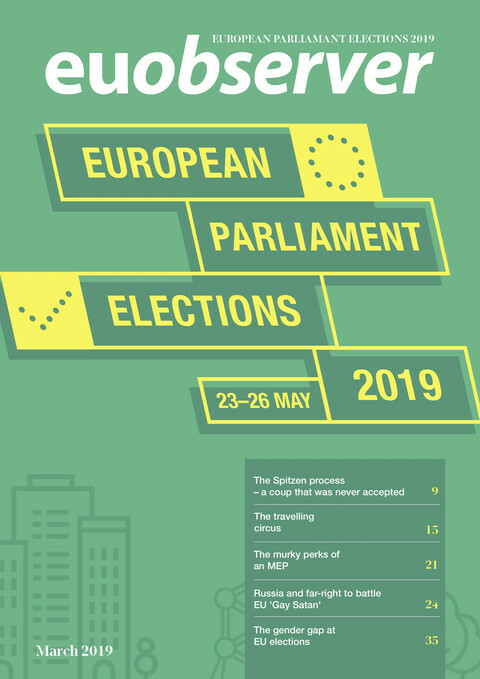 The governing council will decide by a majority vote, with unanimous support for the plan among the 25 members highly unlikely. The so-called quantitative easing (QE) involves central banks buying up government bonds to inject more money into the system - a path trodden in recent years by the US Federal Reserve and by the Bank of England in response to the 2008 financial crisis. Speaking at the World Economic Forum in Davos on Wednesday (January 21), Angel Gurria - the secretary general of the OECD, the Paris-based wealthy nations’ club - became the latest international figure to urge the ECB to launch unlimited bond-buying until the eurozone economy improves. "Let Mario go as far as he can. I don't think he should cap it. Don't say €500bn. Just say, 'As far as we can, as far as we need it’,” he said. 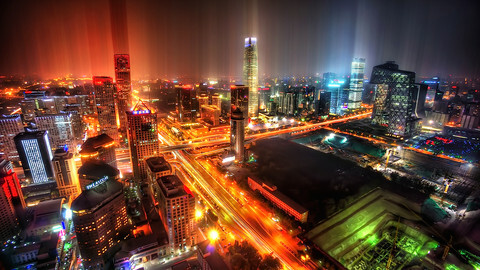 The World Bank, OECD and International Monetary Fund have all called for the introduction of QE in recent weeks. But have warned that it won’t be a ‘silver bullet’ for the eurozone. The World Bank's Frankisza Ohnsorge recently told EUobserver that QE is "just a necessary breathing exercise,” rather than an economic cure. French president Francois Hollande and Italian prime minister Matteo Renzi have also signalled strong support for QE in recent days. Renzi described the ECB’s upcoming decision as “very important for my country, but decisive and crucial for the European economy”. 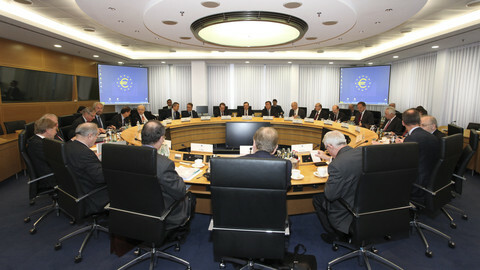 The main critics of the scheme, both inside and outside the ECB, are mainly German and question its value and legality. Sabine Lautenschlaeger, a member of the ECB’s executive board, said that she is “not convinced by large-scale purchases of government bonds” until there are “threats of exceptional risks materialising”. Jens Wiedmann, the chairman of the Bundesbank and an ECB governing council member, is also a QE sceptic, who says it would increase the liability of German taxpayers for the debts of other eurozone countries. Hans Werner Sinn, the president of the IFO institute for economic research, has argued that QE would “turn the ECB into Europe’s bad bank … and increase the burden on taxpayers should defaults occur”. Meanwhile, the London-based campaign group Open Europe argues that QE would undermine public support for the euro in Germany and is “guaranteed to be subject to numerous legal challenges, primarily in Germany”. 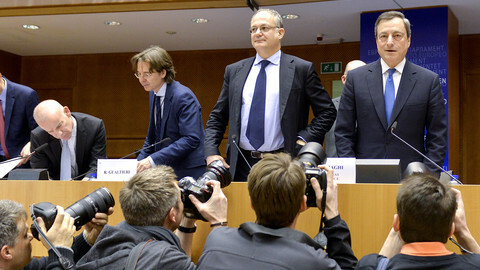 Last week, an opinion by European Court of Justice advocate general Cruz Villalon said that the ECB’s Outright Monetary Transactions (OMT) programme - which is conceptually similar to QE and which allows it to buy potentially unlimited amounts of government bonds to protect against speculative attacks - is within the bounds of EU law. 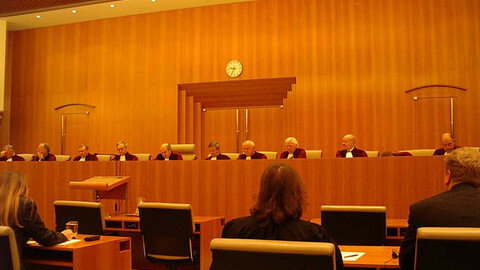 This follows a legal challenge to the programme in the German Constitutional court. 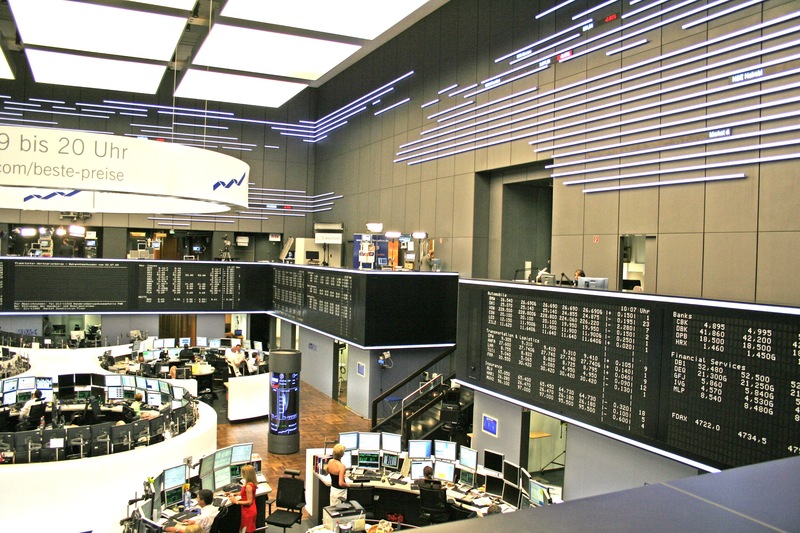 In a bid to counter the threat of a legal challenge to QE itself, the ECB could consider shifting the risk for each country’s bonds onto its national central bank, meaning Germany’s Bundesbank would be responsible for German bonds and so on. This could assuage concerns in Germany that its taxpayers would become liable for other countries’ debts. But it could undermine the value of the programme and the ECB’s credibility. Such a system “would be at best ineffective, at worst dangerous,” says Guntram Wolff, director of the Brussels-based Bruegel think tank, adding that “the attempt to make national central banks shoulder hard default risks is bound to fail”. “It would effectively be a declaration that the ECB cannot act and purchase government bonds as a euro-area institution in the interest of, and on behalf of, the entire euro area”. Just as serious are the charges that injecting fresh money into the markets will simply not work. 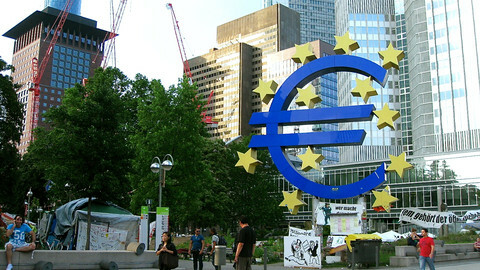 Open Europe says QE will have “limited economic impact” because the eurozone banking sector is already dependent on ECB lending to the tune of around €1 trillion at almost zero interest rates, which has not translated into greater lending to businesses and consumers. It adds that interest rates on eurozone government bonds are also at record lows and are unlikely to be forced much lower by a further injection of cash. Nobody should mistake an injection of more cash into the eurozone economy for an economic cure, says one of the World Bank authors of a recent bleak report on the eurozone. An EU court opinion has said the ECB's bond-buying programme is within EU law but added caveats that have implications for the unpopular troika of lenders to bailout countries. A German member of the ECB's executive board has criticised its “last resort” bond-buying programme. The European Central Bank will plough €1.1 trillion into the eurozone economy in a last-ditch attempt to breath life into the European economy. The only headache for the ECB is how to maintain the balancing act with Greece, where it stands to lose over €100 billion in the event of default. The European Central Bank will start buying government bonds from next week as it seeks to speed up the eurozone’s stalling economic recovery.